Could Your Facebook Friends And Online Activities Affect Your Credit? Home / Jean In The News / Video / As Seen on TV / Could Your Facebook Friends And Online Activities Affect Your Credit? Could Your Friends & Online Activities Affect Your Credit? With all the recent headlines in the news regarding the broad NSA surveillance on pretty much every conceivable communication a person can make, it’s easy to understand how one may feel apprehensive and guarded when they hear that a new technology is able to gather, analyze, and ultimately determine your creditworthiness based on your “Online” activities. This new technology can take into consideration your Facebook friends, your Amazon.com & eBay sales and shopping habits, your profile’s “feedback” on these sites, your current geographical location, and even the way you fill out a credit application.Before you consider purging your Facebook “Friends” solely based on how their financial and social status may reflect upon you, there are some important things to know and understand about this technology. Far too often we jump to a conclusion that something is “good” or “bad” simply by what we might be told by a friend or hear on the news. The intent for which a technology was created, its potential for both good and bad, as well as its past achievements and failures should all be taken into account while forming your opinion on a newly implemented piece of tech. in a positive or negative way, how new technology is implemented, and is ultimately utilized will determine how we, as a society, end up perceiving it. A majority of software and new technology is brought to market to improve someone’s life or to help company’s business in one way or another. 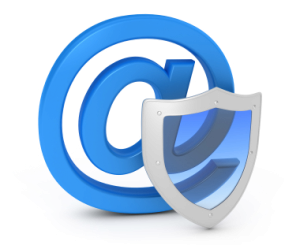 Take for example the invention of email: Although there are definite flaws, ongoing security concerns, and continual room for improvement, most of us still would regard email, as a whole, as a “good” technology. Even if we are skeptical about just how private our communications now are, we still utilize the service. There are even truly “evil” parts of the email technology like spam, viruses, banking scams, and fake Viagra. Rather than shun the technology entirely we identify the existing and potential issues, learn all we can about them, and eventually adapt to protect ourselves from these and future threats as best we can. Before you decide if this new creditworthiness technology is good or bad, let’s first look at exactly what it (currently) is and how it is being used. Are all credit companies doing this? No, not currently. At this moment, we are talking about a technology that has not been implemented into all, or even a majority of credit providers (currently). In fact, if you have credit, then (currently) you shouldn’t have to submit your online life to the scrutiny of a credit provider since this is (currently) only being used for individuals and companies who are without a credit score or credit history looking to obtain credit or funding. Traditional lenders rely heavily on credit scores like the Beacon and FICO ratings, which look at payment history and credit limits, but traditional lenders typically steer clear of the millions of people who don’t already have credit scores, leaving many without a way to acquire the capital they desire. Some lenders (currently) are acquiring the permission of the potential borrower to analyze and compute creditworthiness based on their personal and company social media accounts and online selling/shopping outlets. Because these interested borrowers may not have any prior personal or business credit history, good or bad, these lenders are requesting the login usernames and passwords to the borrower’s Facebook, eBay, Amazon, and PayPal account. Since providing these login credentials are a requirement by the lender in order to be considered for credit, borrower’s, however reluctant, are willingly granting the lenders access to their online accounts. Who’s using this new credit evaluation tech? Lenddo – a New York-based microfinancier, created to provide loans in developing countries based on the idea that the social networking community can be the biggest determiner of one’s loan viability. How much time the applicant spent on the Kreditech website researching the loan prior to applying. 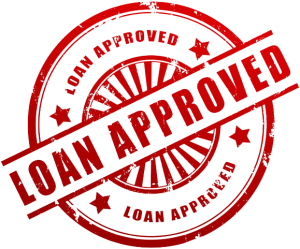 The more time spent learning about the loan, the more “points” the applicant is awarded. Sentence structure and capitalization. If the potential borrower fills out the online application all capital letters, or does not use any capital letters at all, Kreditech will assign less points to that applicant than they would to an applicant who used proper capitalization. Location data can be used to consider creditworthiness based upon whether your computer is located where you said you live or work. If the physical location you are at the time of applying for credit, usually found by looking up your IP Address, differs from the location information indicated as the applicant’s work or residence address, Kreditech will deduct points. For an example of how this works, you can visit CheckIP.org to see if your current IP address would match up to the address you would list as your home or work address. So what can be learned by accessing your account? These accounts can provide real time sales and delivery data that can help verify the identity and viability of a person or company and instantly provide the proof of revenue and show that the borrower has the ability to make good on a line of credit or loan. Often times once a lender verifies the data they are looking for that proves creditworthiness, money can be put into the borrower’s account in just seven minutes! 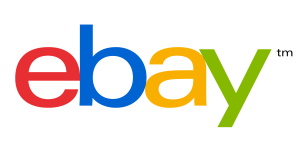 Why Amazon.com, eBay, and PayPal? Because of the popularity of Amazon and eBay, and the functionality they offer to business, both brick and mortar and exclusively online retailers, these two sites are the most commonly used by companies to sell their goods to the public. Both Amazon and eBay have a built in client base which is like having millions and millions of potential customers walking through your door looking for and at your products. Due to the ease of setting up an online storefront, as well the already built in visitor traffic, some find much success by running their online store on these sites. For those applying for credit, but currently without any, granting access to a lender to verify that they are in fact a legitimate and profitable online entity who has a good reputation with their customers might now just be enough to get the loan approval they need! With over 110 million active PayPal accounts, the world’s most popular payment processor allows customers to pay retailers for their goods and services online. In the same way that logging on to an applicant’s eBay or Amazon account can prove past sales performance, logging into one’s PayPal account sheds light on a person’s or company’s income and spending history. For those in need of credit, sharing these accounts with lenders may prove to be much more beneficial than being considered on credit rating alone. Are you the company you keep? According to the new creditworthiness technology, Yes! Because listing “references” on an application is easily falsified, lenders are going straight to the applicant’s facebook account, (currently) with the applicant’s permission, to find out for themselves just what type of crowd you associate with. 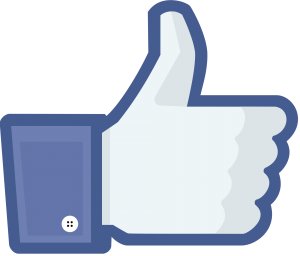 Can Facebook friends affect your current “Credit Score”? In short: No. This technology (currently) does not affect your Beacon/FICO Credit Score, AKA your credit rating. It is primarily being used for people or companies with little or no credit rating, but as stated previously, Equifax is aware of this technology. It’s not inconceivable that at some point in the future your Facebook friends may affect your credit rating, but for now the answer is No. Absolutely! We are talking about private companies lending their private funds. Since it is their money, lenders have every right to be as picky and particular as they like. Since privacy is hot topic right now, we should point out that the technology talked about here only is able to access what you give it authorization to access. Essentially, if you apply for a loan from one of the lenders who utilize this technology you are stating that your privacy has a price. There may however be parts of your online activity and facebook profiles which do not require your prior approval to be considered and utilized. Any data that is available to the general public would also be available to potential lenders! Keep in mind that Facebook itself is a technology, and as such is continually changing and evolving. Each new feature offered on Facebook usually comes with its own Privacy Settings, so be sure to keep up to date on the evolution of the online services you use and check the privacy settings section frequently! 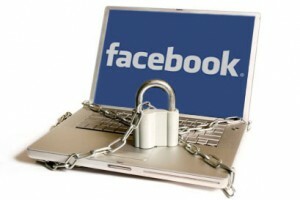 Securing your Facebook profile is a simple enough task to complete if you know where to go. You can visit the Privacy Settings section on Facebook to control pretty much every aspect of your accounts public and private visibility. You can control who can see your friends, your posts, your pictures, pictures you may be tagged in, who can post on your timeline, who can see your “About” information, and much much more. Regardless if you feel that this creditworthiness technology is “Good”, “Bad”, “Moral”, “Corrupt”, “Helpful”, or “Hurtful”, the one thing that can’t be disputed is that where once millions of people, those with little to no credit history, didn’t have a chance of procuring funding from a traditional lending institution may now have a real chance of getting approved when applying for a loan.